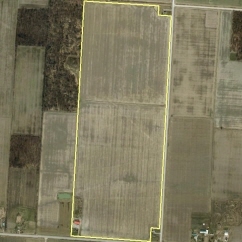 2 acres at the Southwest corner of the farm. Two paved road access. Gas at the road.